With a history dating back to 1888, the Milwaukee Art Museum’s Collection includes nearly 25,000 works from antiquity to the present, encompassing painting, drawing, sculpture, decorative arts, prints, video art and installations, and textiles. The Museum’s collections of American decorative arts, German Expressionist prints and paintings, folk and Haitian art, and American art after 1960 are among the nation’s finest. The Museum is in the process of adding to the works of art included on the site and update information whenever possible. If you have information you would like to share about the works you find here, we would be happy to hear from you. Please contact us at collections@mam.org. Assembled by Mrs. Harry L. Bradley during the second half of the 20th century, the Bradley Collection contains important European and American painting, prints, watercolors, and sculpture from the late 19th century to the early 1970s. 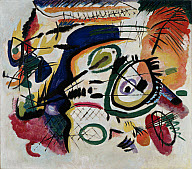 Work includes Fauve paintings by Georges Braque and Maurice de Vlaminck, seminal Expressionist paintings by Ernst Ludwig Kirchner and Vassily Kandinsky, and magnificent works by Pablo Picasso and Alberto Giacometti. A generous challenge grant from the Bradleys gave rise to the construction of the Bradley Wing in 1975, which features Mrs. Harry L. Bradley’s impressive collection. The American Collections present one of the nation's most important ensembles of pre-1900 decorative arts. Since 2001, the Museum's holdings have been displayed alongside the nationally recognized collection of the Chipstone Foundation, a non-profit based in Milwaukee. In 2015, these American Collection galleries will be comprehensively reinstalled with imaginative installations that present historic objects and paintings in ways that promises to inspire a modern-day wonder about art and design. Works on view include the earliest surviving American-made chair; 18th-century Philadelphia furniture carved by "the Garvan Carver" and others; American and English ceramics; Chinese export porcelain; and American silver by Paul Revere. 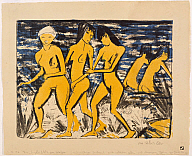 One of the most important collections of German Expressionist prints in the nation, the Marcia and Granvil Specks Collection includes more than 450 prints by German masters including Erich Heckel, Ernst Ludwig Kirchner, Käthe Kollwitz, Emil Nolde, Karl Schmidt-Rottluff, and George Grosz, among many others. The Specks collection rotates throughout the year in a dedicated gallery. The Richard and Erna Flagg Collection of European Decorative Arts and Sculpture comprises over 100 unique and historically significant objects drawn from the Renaissance and Baroque periods. These works—including clocks, tableware and vessels, cabinets and larger furniture pieces, and intricately tooled metalwork—are renowned for their virtuoso displays of craftsmanship and use of precious materials. The clocks alone constitute the best collection of German Renaissance clocks anywhere outside of Germany. 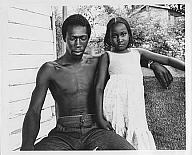 In 1986, Floyd and Josephine Segel donated over 300 exceptional works by master photographers including Diane Arbus, Eugène Atget, Bill Brandt, Brassaï, Henri Cartier-Bresson, Lee Friedlander, Robert Mapplethorpe, Irving Penn, August Sander, and Garry Winogrand. The majority of the photographs fall within the humanist tradition at the heart of the medium, yet the collection also includes a photogram by Man Ray and experimental works by André Kertész. The present Milwaukee Art Museum is the outgrowth of the Milwaukee Art Center, itself formed from two predecessor institutions: the Layton Art Gallery and the Milwaukee Art Institute. The Layton Art Gallery opened in 1888, a gift to the city from meat packer Frederick Layton. Layton’s original donation consisted of 38 paintings that reflected the accepted academic work of his time with European paintings by William-Adolphe Bouguereau, Jules Bastien-Lepage, James Tissot, Lawrence Alma-Tadema, and Frederic Leighton, and American paintings by Winslow Homer, Frederic Edwin Church, and Asher Brown Durand. Today, these works are a centerpiece of the 19th-century European and American collections. Throughout the 20th century, important landscape and genre scenes by Thomas Cole, Eastman Johnson, and Washington Allston, as well as an impressive group of colonial portraits, were added to the Layton Collection. In 1972 the trustees for the Layton Art Collection made a major shift in emphasis from American paintings to decorative arts. The extraordinary growth in this area since that time has helped earn the Museum’s American collections a national reputation. Featuring nearly 300 works, the Maurice and Esther Leah Ritz Collection includes paintings, drawings, and prints by artists from Rembrandt to Georg Baselitz, with a concentration on German Expressionists and the Ashcan school. Highlights include paintings by Gabriele Münter, Alexej von Jawlensky, and Paula Modersohn-Becker, and prints by Paul Gauguin, James Ensor, Jacques Villon, and Vassily Kandinsky, among others. 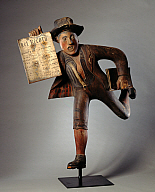 Comprised of some 270 objects dating from the 18th century to the present, the Michael and Julie Hall Collection is one of the nation’s premier collections of American folk art. The Michael and Julie Hall Collection reveals both the traditional roots and individual creativity of folk art from 18th-century colonial America through the work of self-taught artists such as Bill Traylor, Edgar Tolson, Felipe B. Archuleta, Elijah Pierce, and Mose Tolliver. The Milwaukee Art Museum is recognized internationally for its outstanding collections of Germanic art beginning with the René von Schleinitz Collection of 19th-century German and Austrian painting and decorative arts. Among the painters represented are Franz Seraph von Lenbach, Carl Spitzweg, Ferdinand Georg Waldmüller, and Franz von Defregger. The collection is also recognized for its extensive holdings of Biedermeier furniture and decorative arts that include important examples by well-known Viennese and Berlin craftsmen. 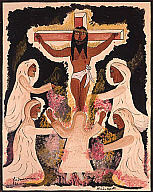 The Flaggs began collecting Haitian art in 1973 and proceeded to amass one of the world’s foremost collections of 20th-century Haitian art. Featuring some 90 paintings and sculptures, the Richard and Erna Flagg Collection includes works by artists such as Hector Hyppolite, Castera Bazile, Wilson Bigaud, Préfète Duffaut, Philomé Obin, Rigaud Benoit, and Georges Liautaud. The Anthony Petullo Collection greatly enhances the Milwaukee Art Museum’s holdings of self-taught material. Petullo, a retired Milwaukee businessman, built his collection over a span of three decades, acquiring works by the most important European and American artists in the genre. The Petullo Collection’s strength is in European self-taught art and represents the most extensive grouping of this work in any American museum or private collection. Petullo’s intention from the outset was to build a personal collection that would complement the Museum’s holdings, and his gift now firmly establishes the Milwaukee Art Museum as a leading American institution for self-taught material. In January of 2017, local collectors Jim and Susee Wiechmann announced a promised gift of over 500 works by French artist Jules Chéret to the Milwaukee Art Museum. The Jim and Susee Wiechmann Collection is the largest and most comprehensive of its kind, featuring not only posters but also prints and drawings. It encompasses the full range of Chéret’s output from throughout his long career, including posters for performances, publications, and products;designs for book covers and menus; charcoal figure drawings; maquettes for his graphic designs; and original pastel compositions. Due to its scope and scale, this collection establishes the Museum as an international center for the study of the poster in late-nineteenth- century France.